Very-long-baseline interferometry offers unprecedented resolutions in radio astronomy and is under continuous development. 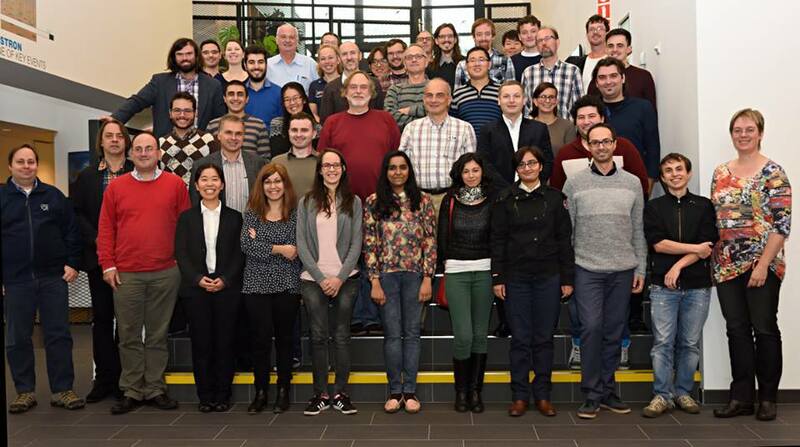 There is a long VLBI tradition both in Bonn (MPI für Radioastronomie) and Dwingeloo (ASTRON and JIV-ERIC), and both sites organise regular neighbourhood meetings since last century, in alternate years to the EVN Symposium. For 2017, Bonn hosts the meeting. 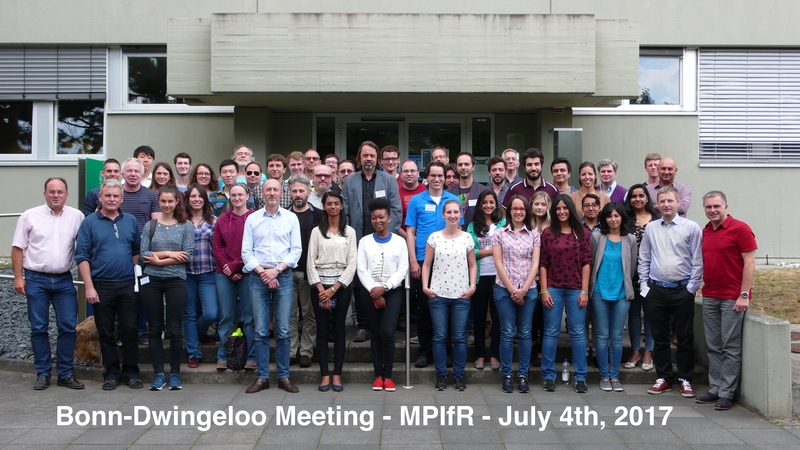 Any interested individuals at the partner institutes in Dwingeloo and Bonn are invited to join the event, which will include talks from both institutes and a visit to the MPIfR VLBI correlator. 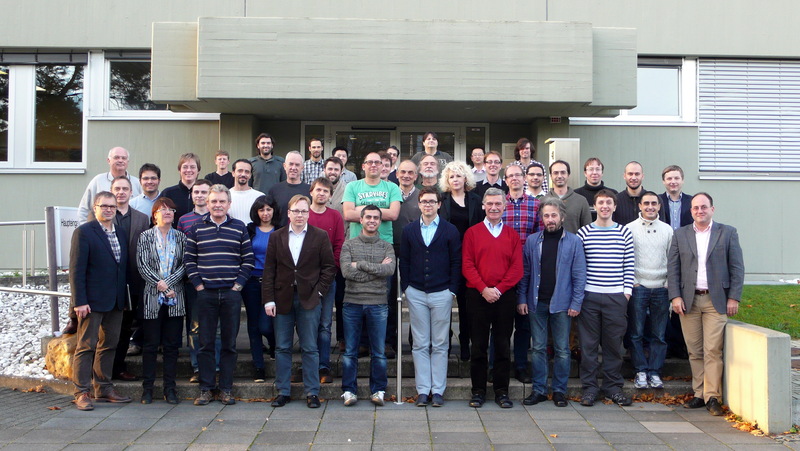 The meeting takes place at the MPI für Radioastronomie, in the auditorium 0.02 near the main entrance. Official Picture of the Meeting in 2017, taken after the morning session.